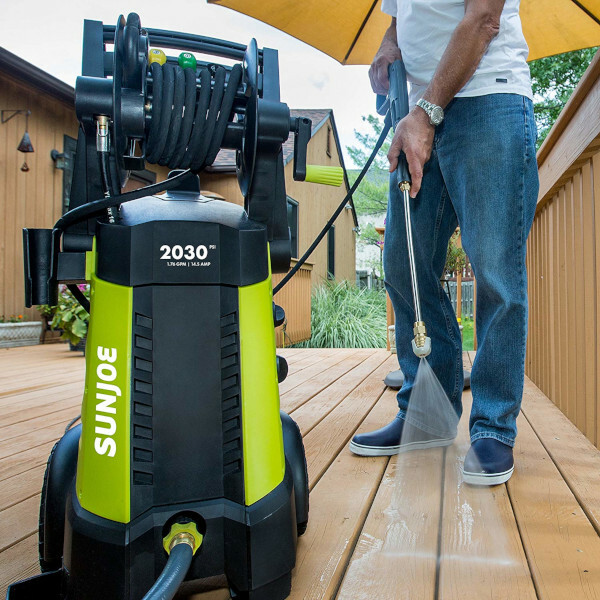 The Sun Joe SPX 3000 and Sun Joe SPX 3001 are two terrific electric pressure washers and users will likely be happy with either one. In fact, underneath some superficial differences, they are identical, with the same motor, power, and performance capabilities. The average homeowner is the target audience for both machines, although car detailers (professional and hobbyist) also make up a fair number of users. Everyone applauds the high-level performance by both models, with both removing years of caked-on dirt from all sorts of surfaces – cars, RVs, driveways, patios, decks, siding, outdoor furniture, fences, and bricks. And everyone is thrilled they don’t have to use a gas engine. The primary difference between the two – aside from price – is the onboard hose reel that’s been added to the 3001. Users are torn between being glad to now have a place to store the hose and disappointment that it doesn’t work better. The question is – are you willing to pay more this one feature? This is the biggest difference between the two models – the SPX 3001 has an onboard hose reel. The 3000 only has a hook on which to hang the hose. With this newer model, you won’t need to detach and coil the hose. Instead, you simply wind up the hose with a crank handle and it’s stored right on the machine. SPX 3001 users hail this as a huge improvement over the 3000. But, for every fan of the 3001’s hose reel is a user who is frustrated by it. The reel is stiff and unfriendly. Don’t you think you’d be able to tug on it to release another foot or two of hose while you’re walking around and moving away from the machine? That’s intuitive and logical, but that’s not how it happens. Instead, your gentle tug causes the machine to tip over. If you want a few more feet, you have to walk back to the machine and turn the crank to release more. So, the reel gets points for offering easy hose storage, but it loses them for not working with you as you walk around, making this feature a “reel” wash. There are a handful of minor details that are different in each machine. They probably aren’t game changers, but they’re still worth pointing out. 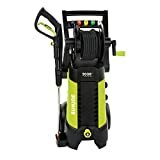 • Weight – The SPX 3001 is five pounds heavier (but it’s got the hose reel). • Assembly – The 3001 comes practically fully assembled. The SPX 3000 should only take you 15-20 minutes to assemble, but it’s still a bit more work than the 3001. • Color – Only the 3000 comes in four color choices. The 3001 only comes in green. We’re pretty sure this has no impact on its abilities. Underneath the hose reel and little details like color and soap tanks, the SPX 3000 and SPX 3001 are the exact same machine. 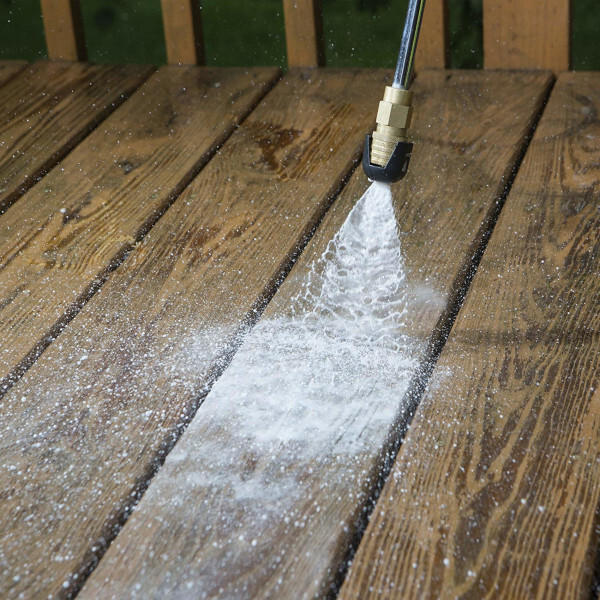 They both offer the same maximum water pressure, gallons per minute, and array of five nozzles, and therefore they would be indistinguishable from one another in their ability to remove years of muck and grime from your house, car, deck, or fence. The 3001 is going to cost you about 20% more than the 3000. We struggled to choose between the two on price but ultimately decided that we weren’t willing to pay more for a hose reel that wasn’t fully functional and user-friendly. And since that is the primary if not the only reason for the higher cost of the 3001, we think the 3000 gives you better bang for your buck. Both the SPX 3000 and the SPX 3001 are going to have you outside hunting for things to transform from filthy to sparkling. 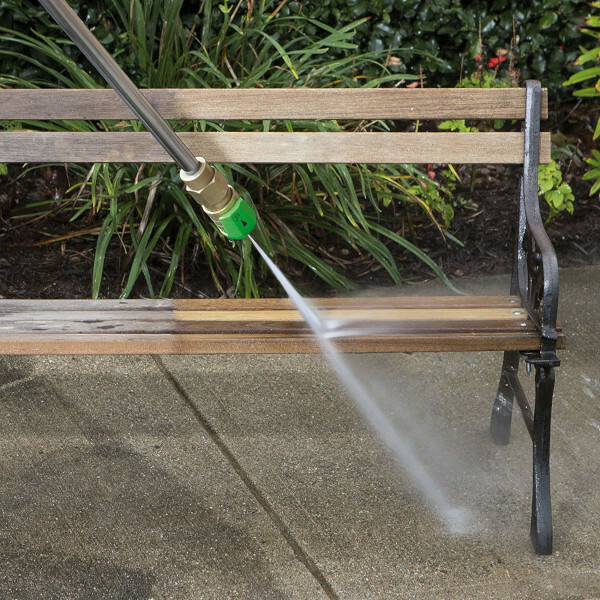 Side-by-side, they will have the exact same impact on whatever you choose to spray them at. What it comes down to is this – do you want to pay a few dollars more so you can store the hose on a handy, onboard wheel? We decided against that. Our vote goes to the Sun Joe SPX 3000. Not only does it come in pretty colors – we know that’s probably important to you – but at the end of the day, it’s the same performance for less money. And who doesn’t want to spend less money?